HELP CENTRE is located in CHENNAI Tamil Nadu . HELP CENTRE is registered as a Society at CHENNAI of state Tamil Nadu with Ngo unique registration ID 'TN/2009/0006309' . 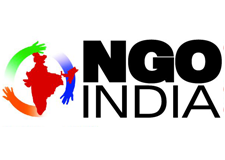 The NGO registration is done by Registrar of Societies with registration number 891 on the date of 03-12-1999, Its parent ORganaisation is PaulFoundation. The Chairman of HELP CENTRE is J P NAGABHUSHANAM and Chief functionary officer is J P NAGABHUSHANAM. 13/7, BOOTHA PERUMAL 1st LANE, ANNA SALAI, CHENNAI - 600 002. *Patient Counseling Centre at Ponneeri Government Hospital Supported by Government of Tamilnadu. *Legal Awareness Programmes for Women and Humen Rights Awareness Programme for Woman Scavengers Supported by National Commissioner for Women New Delhi. *Naturopathy and Yoga Awareness Camp for General Supported by Institution of Naturopathy and Yoga Health Dept Government of India.